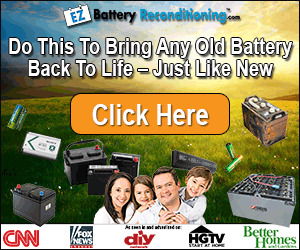 In the recent past most lithium batteries were either put into a landfill or incinerated. 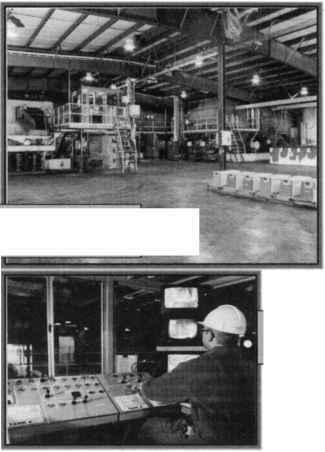 Many of the larger lithium primary systems had no known method of disposal, much less recycling. 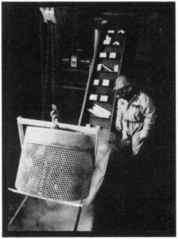 The older large primary lithium batteries were, many times, so reactive that open detonation was used as an effective disposal method. 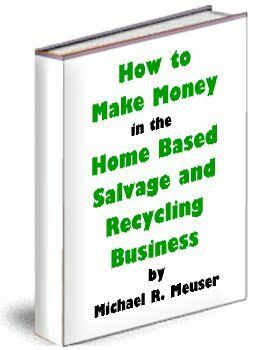 The recycling technologies are only now being fully developed. The marketability of the components and the labor dollars invested to process the batteries are the driving considerations. Many research oriented agencies have proposed recycling methodologies which consider the battery chemicals as simply chemicals. Usually the battery characteristics are either overlooked completely or given inadequate planning. 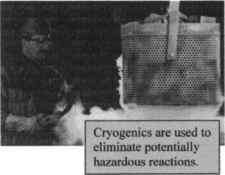 The neutralization of chemicals is the primary focus and either economics or safety is limited (at best). For these reasons many lithium battery recycling operations have started but most could not sustain either economic or physical losses. Some of the secondary lithium cells produced today contain cobalt compounds. Cobalt is a valuable metal openly traded for $10-$ 15 per pound on the open market. At this price, cobalt recovery is the primary goal of several recycling facilities that only accept lithium ion batteries. The authors fear that as other cheaper materials are found, many of these types of facilities may lose their economic justification. Currently, there is only one company in the world that has a long history of recycling all types and sizes of lithium batteries. There are two common types of lithium battery recycling. One type involves processing smaller primary lithium and lithium ion cells in an existing or modified pyrometallurgical processes. Batteries are fed into an electric arc furnace or metal smelting type operation. A facility of this type may accept many types of metal wastes and simply blend in batteries. In a pyrometallurgical process electrolytes, paper, plastics, and most other non metal components are burned off and the combustion products are captured in fume scrubbers, bag houses, and other pollution control devices. The primary goal of the pyrometallurgical recycling facility is the recovery of cobalt, ferrous, and some non-ferrous metals. The final product will usually be an ingot containing a mixture of metals. This ingot, free of many battery impurities, is usually sold to downstream secondary metal smelters who specialize in the refining and separation of unique metals. 1) It is very economical especially when batteries are blended with other waste streams. 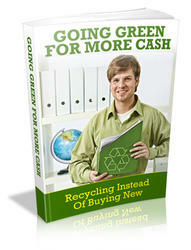 Recycling costs are similar to incineration costs. 2) Flammable electrolytes pose no threat and may actually add to the efficiency of the process by supplementing the fuel source. 3) Some marketable metal, cobalt, and/or electricity are usually gained from the process. 1) The process produces large volumes of ash and air emissions similar to any large smelting operation. 2) The process operates only with the input of large amounts of fuel or electricity. 3) Items not recycled include aluminum (which will be oxidized), lithium, organic electrolytes, carbon, paper, and plastics. 4) Some of the waste products from the process must be disposed of as hazardous waste. 5) The process is not suitable for many primary systems due to the corrosive characteristics of the electrolyte/cathode as well as the reactivity of the battery. Facilities that do not fall into the pyrometallurgical category involve wet chemistry processes. Only two such processes are known and only one has processed high volumes of all types of lithium batteries. These processes generally produce cleaner recycled products, less waste from the process, and are dedicated strictly to processing lithium batteries. 1) Recycling of more materials (lithium, aluminum, plastics, and electrolyte solutions) is possible since combustion of the battery is not part of the process. 2) There are negligible air emissions from the process. 3) There is no hazardous waste generated from the process. 4) The process can be used for all types and sizes of lithium batteries. The disadvantages to this process are: 1) Large volumes of chemicals must be handled by properly trained personnel. 2) Special batch processing is necessary for some types of batteries or other lithium wastes. Toxco, a Southern California environmental firm, developed the most successful lithium recycling processing technique for all lithium batteries regardless of size or type. The process was developed and brought to commercial use in 1992 to meet the need for lithium battery recycling in military systems. It has been strongly improved over the years and has resulted in many U.S. patents. The essence of the processes is the lowering of the reactivity by reducing the temperature of the batteries. Typical chemical reaction rates are halved for every 10° C (17 °F) drop in temperature. So lowering the batteries to 15° C reduces the reactivity in half. Further lowering to 5 °C reduces the reactivity to % of its original reactivity. Placing the batteries in liquid argon or liquid nitrogen reduces the reactivity to less than 1/250,000th of their room temperature reactivity. At these temperatures the batteries are close to inert and can be safely handled regardless of their specific chemistry. Once frozen the batteries are mechanically reduced in size either by shearing, cutting, or shredding. At this point the battery materials are basically divided into three paths: the soluble components including virtually all the lithium possible pass into the bath; the insoluble constituents float, sink, or remain in suspension. Those constituents that sink are primarily recoverable metals. Those that float or remain in suspension are largely waste such as fiberglass, paper, carbon, etc. with no residual value. The dissolved material is then processed through a series of wet chemistry baths and filters to yield lithium carbonate which is a basic building block compound for the lithium industry. Cobalt is recovered in a similar manner and is sold with the lithium carbonate and scrap metal on the open market. The overall process provides an effective technique for recycling lithium batteries. As time passes, if the materials within the batteries can be standardized, there may be opportunities for an even greater percentage of recyclable materials possibly to include the plastic casing or the electrolyte. It should be noted that recovering a useable form of energy from the electrolyte is currently very optimistic. Recovering battery grade electrolyte is currently considered neither cost effective nor efficient. 5) Generate positive revenue for the company that would sustain growth and continued operation. These requirements have all been met. When the company began, acquiring the necessary environmental approvals and permits for a site using a brand new method to recycle a potentially explosive material was quite a challenge. After failing several times to obtain permits in 20 different U.S. states in 1992, Toxco obtained a temporary permit from the Province of British Columbia in Canada. This initial permit was conditional on the success of the methodology. Obviously, the process was a success and the permit was soon made permanent. The U.S. EnvironmentalProtection Agency and Department of Defense, the Canadian Ministry of the Environment, and similar groups around the world currently approve of the facility. There is no hazardous waste generated when lithium batteries are recycled at Toxco Inc. There is no municipal sewer system in the processing area and air emissions are collected via a direct-capture-system over each of the reaction areas. These fumes are processed through three air filters connected in series; the first is a wet bed fume scrubber which removes particulate material, the second is a traveling bed filter to further remove particulate material, and the third treats the emissions chemically. Each year Toxco is required to hire an outside environmental audit firm to test the emissions for conformance with their permit. The 1999 results are presented in Table 1. As one can see the emissions are quite minor in comparison to the allowable limits. The original Toxco facility near Trail, British Columbia began as a 33,000 square foot warehouse on 11 acres of land. Only 15,000 square feet was used as battery processing and the rest remained storage space. This facility has since grown to over 40,000 square feet of processing area dedicated to lithium battery recycling. A second Toxco facility has also been set up in Baltimore (Ohio) and a third is planned in the near future.